One of the most important educational programs home health agencies are required to provide is one that ensures your staff gains a thorough understanding of healthcare fraud, waste, and abuse. Fraud, waste, and abuse remain a significant problem in federally funded healthcare programs and the recognition and reporting of suspected illegal practices will assist your agency with maintaining a high quality of care. 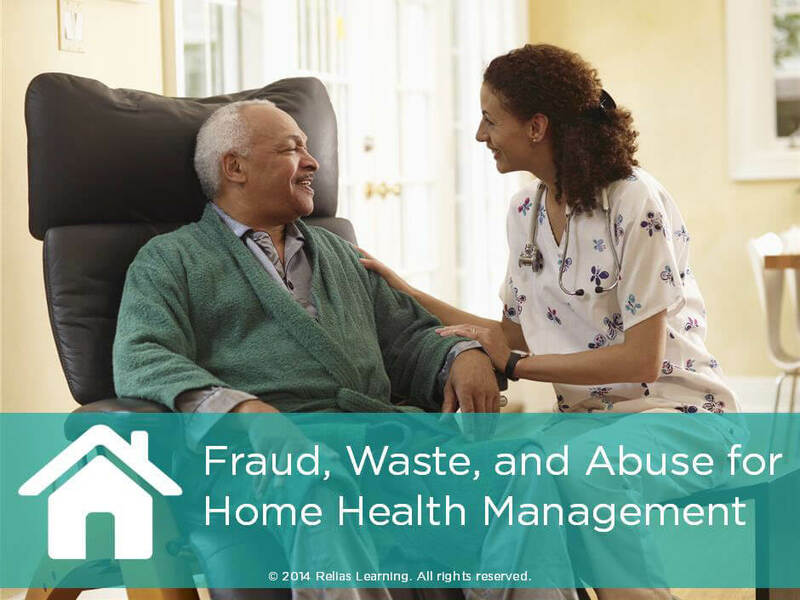 Directed towards home health management, this short, non-accredited course focuses on what constitutes fraud, waste, and abuse, and reporting mechanisms for such activities. Texas HHSC has determined that Relias Learning’s submitted training meets or exceeds the minimum standards for HCSSA administrator training in the following categories: Licensed and Certified Home Health (L&CHH). Texas HHSC also recognizes Relias Learning provides continuing education for administrators and alternate administrators. This activity is approved for 0.50 contact hours. Recognize and report suspected fraud, waste, and abuse. Explain the Mission of the Office of Inspector General. Summarize the False Claims Act.